Boloceroidaria with broad pedal disc, without basilar muscles. Column smooth, without outgrowths, or with outgrowths in its lower part. Ectodermal longitudinal muscles in the whole column. 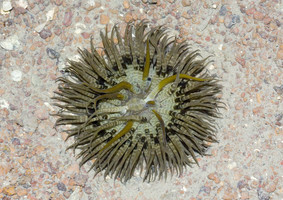 Margin tentaculate, sphincter absent. 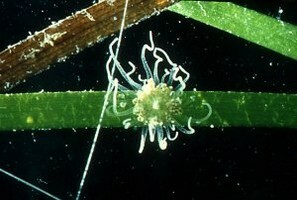 Tentacles not retractil [sic], easily deciduous, each with an endodermal sphincter at its base by the contraction of which it may be thrown off, with or without stinging spots. Longitudinal muscles of tentacles and radial muscles of oral disc ectodermal. No distinct siphonoglyphs. 6 perfect pairs of mesenteries, or sometimes more especially if the species propagates asexually. Muscles of the mesenteries weak. No differentiation into macro- and microcnemes. Gonads develop from the mesenteries of the first cycle.